Good news! You’ll be able to watch the World Cup in 4K HDR thanks to the BBC and its iPlayer platform. Bad news! It’s a limited trial run, meaning that it’ll be serving up the Ultra HD football streams to a select number of viewers. All 29 of the matches the BBC is broadcasting will be available in 4K, with the broadcaster hoping to deliver “tens of thousands” of high-resolution streams. Though 4K screens in homes aren’t quite as common as HD ones, there may still be some viewers left without access to the UHD content. 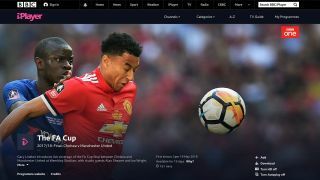 “The BBC has brought major live broadcasting breakthroughs to UK audiences throughout the history of the World Cup,” said Matthew Postgate, BBC Chief Technology & Product Officer. The trial will be used to fine tune the delivery of large-scale 4K events in the future, with the Beeb making use of the Hybrid Log-Gamma version of HDR it helped to develop alongside Japanese broadcaster NHK. You can find out if your screen is compatible with the Beeb’s 4K streaming option by clicking here. It’s not just 4K getting some love from the BBC though – it’s also invested some money, time and development in delivering virtual reality content for the 2018 World Cup too. The BBC Sport VR – FIFA World Cup Russia 2018’ app will be free on iOS, Android, Gear VR, Oculus Go and PlayStation VR platforms, and lets fans watch live matches from a “private box” in the Russian stadiums. Live stats will pop out of a virtual coffee table too, while there’s also the option to watch the action from cameras placed behind each goal. In addition, when live coverage isn’t available, the app will continue to offer highlights and analysis. All in all, despite holding its cards close to its chest in the run up to the tournament, it’s a comprehensive offering from the BBC. Just make sure to start those streams early if you want in on the 4K action.